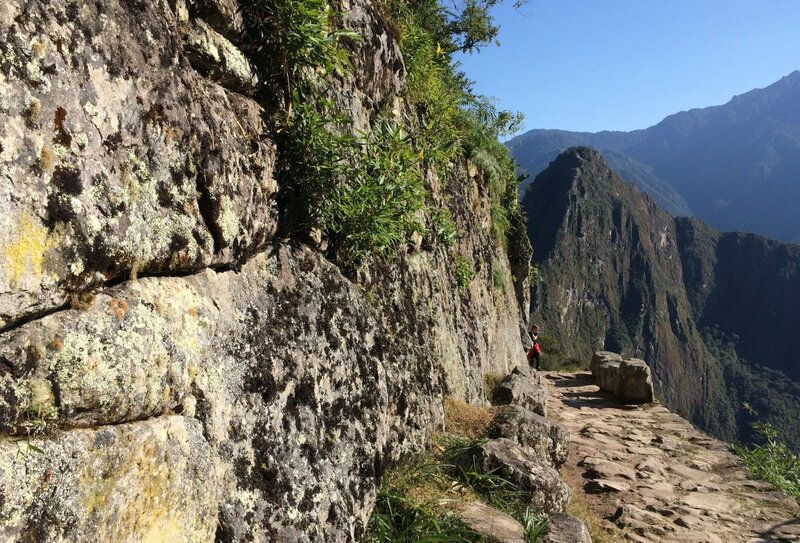 An unforgettable hike to Machu Picchu! 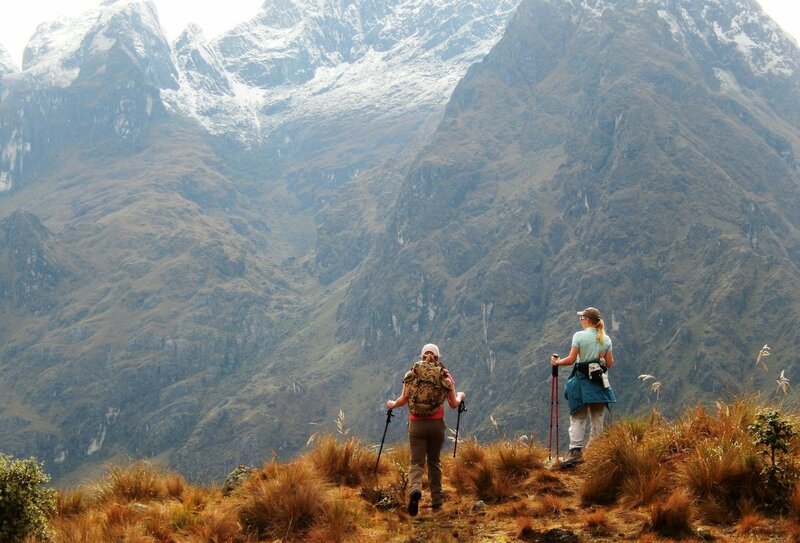 Hike the legendary Inca Trail* with a group of ready-made mates! 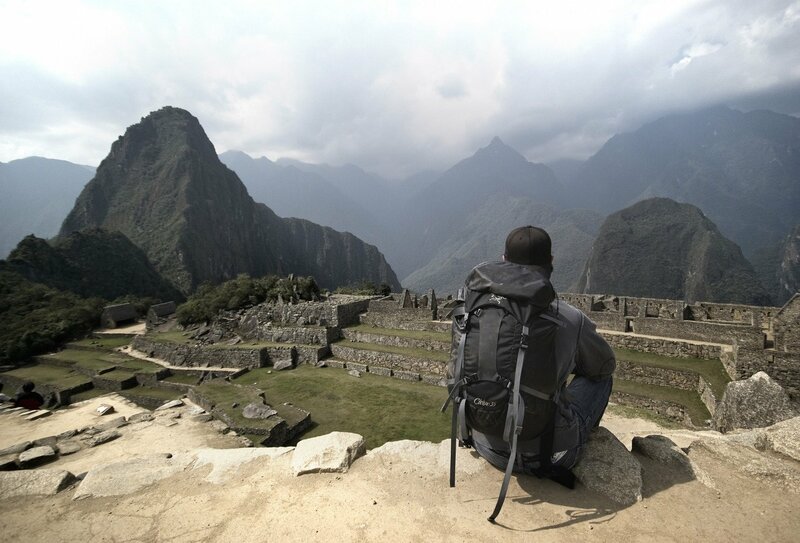 Discover the breath-taking Machu Picchu on a guided tour! Get adventurous and tick that trek off your bucket list! Take the time to finally tick this epic experience off your bucket list! 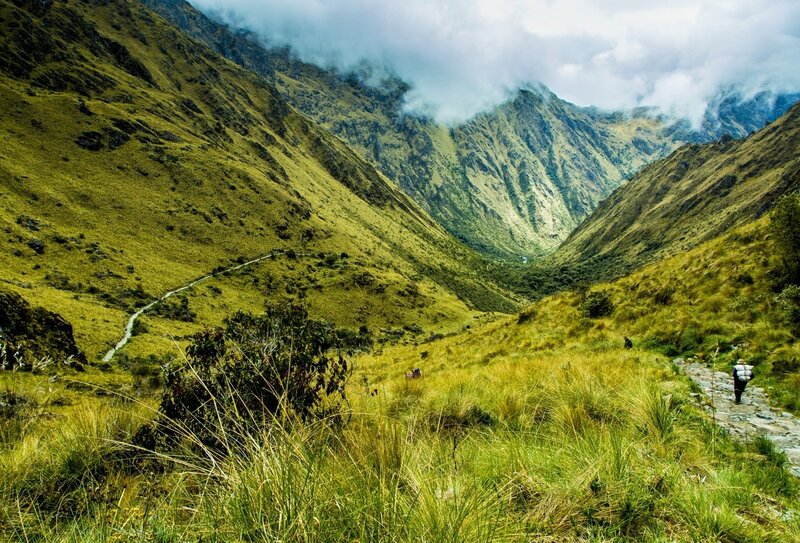 This week-long adventure will see you trekking the Inca Trail*, taking in amazing scenery with a group of fellow adventurous travellers. 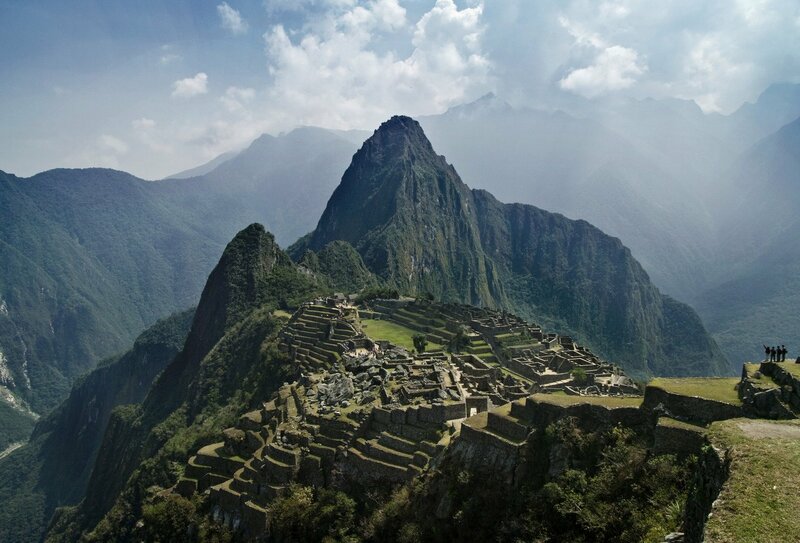 You’ll also be exploring the mesmerising Machu Picchu, the iconic Incan citadel that sits atop the Andes. You’ll be awed by the majesty of this ancient site – one of the New Seven Wonders of the World! 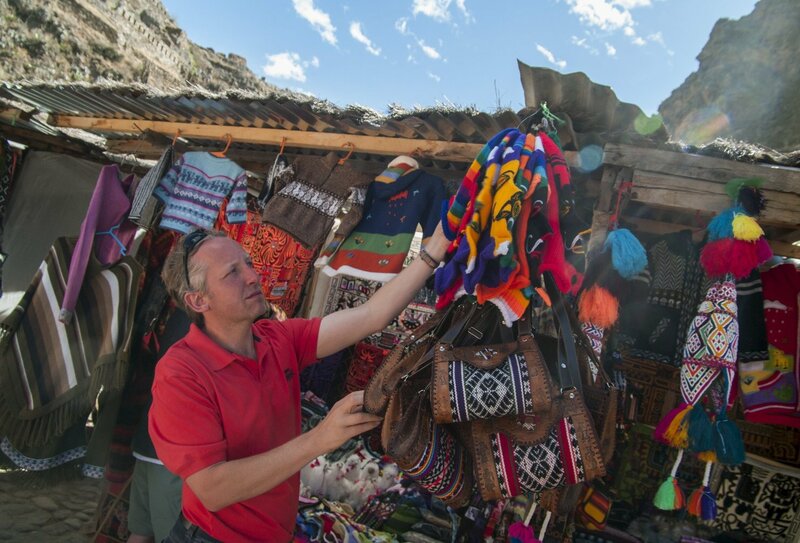 You’ll also get the chance to spend some free time in fascinating Cusco and learn more about the local community with a cultural excursion to the Women’s Weaving Cooperative. 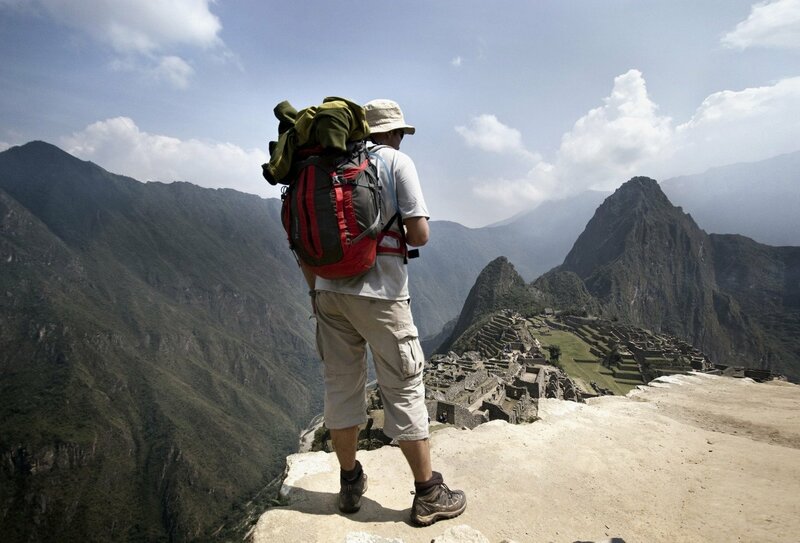 It’s time to reach new heights with this trip, so amp up the ambition and adventure and get stuck into Peru! Day 1: Welcome to Cusco! Today, you’re free to arrive into Cusco at any time. Be sure to touch down in time to attend our Welcome Meeting this evening, where you’ll meet your group and your guide! 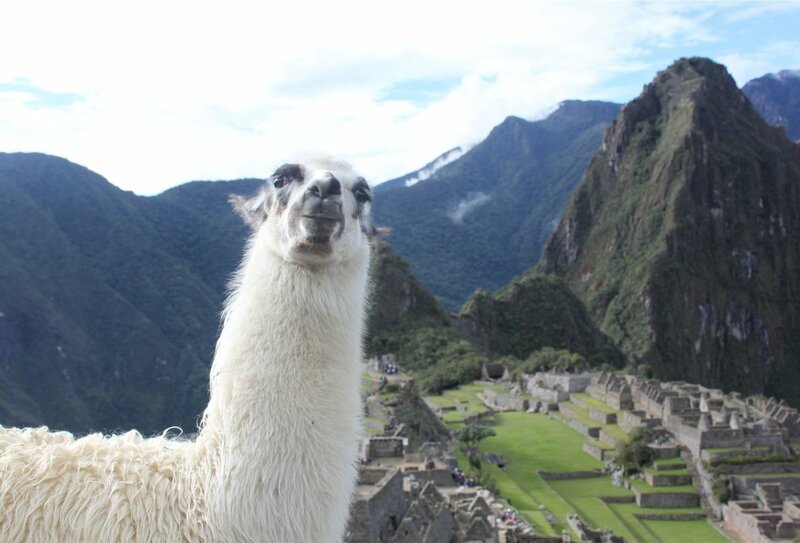 Until then, feel free to explore Cusco. This morning we’ll leave Cusco to head to Ollantaytambo. En route, we’ll stop off at a Women’s Weaving Cooperative today, where you’ll learn about weaving techniques and find out about the lives of the local women who create these beautiful souvenirs. 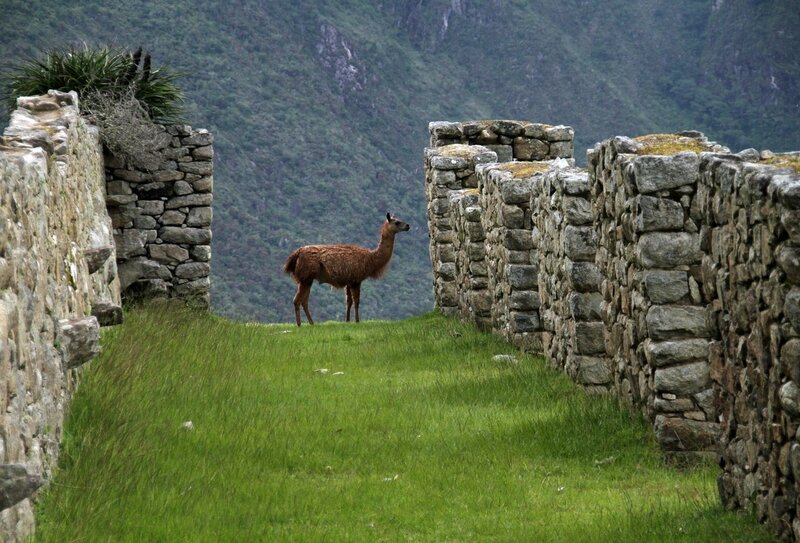 You’ll then have a guided tour of the breath taking Pisac Ruins, an ancient Inca structure. Before we head off to check out the Ollantaytambo Ruins, we’ll break for lunch at the Parwa Community Restaurant, an establishment dedicated to sustainable tourism. Today we’ll head off to the starting point of our trek in a private vehicle. We’re kicking things off with a fairly easy trek – the perfect way to get to know the terrain. We’ll trek for approximately 5 to 6 hours, passing a local village and getting an introduction to those expansive mountain views. Simply breath-taking! We’ll wake up bright and early today to begin the trek to Warmiwanusca, the highest point of our trek. The climb can be steep, but we’ll take it at a steady pace and keep ourselves well hydrated along the way, and it’s well worth it for those once in a lifetime mountain views! You’ve got a fascinating trek ahead of you today as you pass spectacular ruins and cross two passes. At your first pass you may be able to see the snow coated Cordillera Vilcabamba (weather permitting) so be sure to snap some awe-inspiring shots! We’ll then reach the Phuyupatamarca Ruins, dubbed the ‘town above the clouds’. We’ll rise before dawn today and head to the Sun Gate where we’ll catch the first views of Machu Picchu being lit up by a glorious sunrise. Once there we’ll hike down to the site itself and enjoy a guided tour. You’ll discover the Temple of the Sun and the Room of the Three Windows and have some time to explore! Once our tour is finished we’ll board a train to Ollantaytambo and then make the journey back to Cusco. There are not scheduled activities today so you’re free to depart whenever you want. Be sure to swap details with your group – you’ve shared an epic experience with them, and what an experience it’s been! 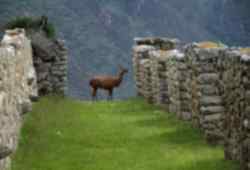 *Inca Trail Permits - Important Note: Inca Trail permits are subject to availability, in the event that permits for the Inca Trail are not available for your chosen date you will be offered an alternative route. Please contact us for further details. 6 nights of accommodation are included in the price of this trip. You’ll have 3 nights in a hotel and spend 3 nights camping during your trek. Sleeping bags and camping mats are available to rent. 6 breakfasts, 4 lunches and 3 dinners are included are included on this trip. While trekking, you’ll have a cook to prepare meals for your group. Where meals are not provided, you’ll be able to try some of Peru’s tastiest cuisine, and we’ve listed some of our favourites below! Lomo Saltado: A comforting beef stir fry featuring peppers, onions and tomatoes. Causa: A veggie staple. Avocados and potatoes are layered to create a delicious casserole with an unbelievable texture! Suspiro a la Limena: A must try for anybody with a sweet tooth! The flavours of dulce de leche and meringue unite to create a delectable dessert. 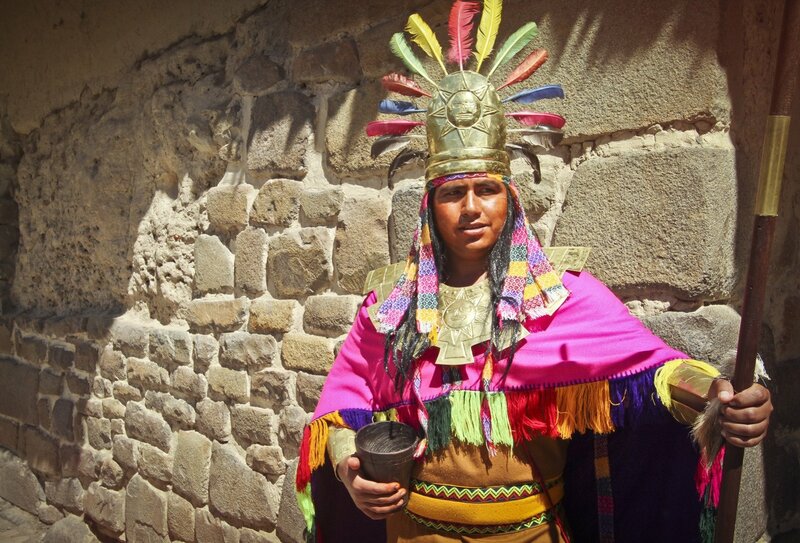 Your trip begins in Cusco on your programme start date (day 1 of the itinerary), a welcome meeting will be held in the early evening at the joining point. You'll need to arrange your flights to arrive into Cusco Alejandro Velasco Astete International Airport (airport code CUZ) on your programme start date. Your trip finishes in Cusco on your programme end date, no activities are planned for this day and you are free to depart at any time. The minimum age for this trip is 18 years. A good level of fitness is required for this trip. 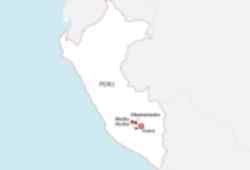 Citizens of the United Kingdom do not require visas to travel to Peru if they are staying for under 180 days. Visa rules may change, so it is your responsibility to stay up to date with the current visa laws of the countries you are visiting and adhere to them. On this trip you will be trekking at more than 2000 meters above sea level, you therefore need to ensure you have suitable travel insurance in place. If you'd like to purchase insurance through us, you'll need to select the 'Adventurer' level of cover. It is your responsibility to obtain the necessary visas for your travels and correct travel documents, if one is necessary, in accordance with the regulations of the country you are to visit. The information offered below is to help you with that process. We are not responsible for the actions of local immigration and customs officials, whether at points of entry or otherwise and any subsequent effects. All nationalities require a full passport that must be valid for 6 months beyond the intended length of stay. Citizens of the United Kingdom do not require visas to travel to Peru if they are staying for under 180 days. Visa rules may change, so it is your responsibility to stay up to date with the current visa laws of the countries you are visiting and adhere to them. Yes, in fact many of our travellers choose to travel solo as our trips offer a fantastic opportunity to meet new people. This is a group trip, so there’ll be other people to share the experience with – you’re never truly travelling alone! You can also travel with a friend or partner, however you choose to participate you’re sure to have an amazing time! Throughout your trip you’ll be accompanied by a knowledgeable guide. Your guide will be able to advise you on what to do during your free time and will guide you through your trek to make the experience as enjoyable as possible! You can opt for your own room, but it will incur an additional cost. Please note that you’ll be unable to have your own room during nights 3 to 5 when we will be hiking. For more details on opting for your own room, please contact us.